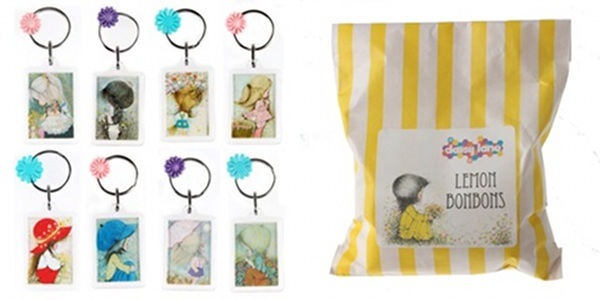 Babyology Exclusive – Daisy Lane launches nostalgic range at Kids Instyle! My this takes me back to my pale yellow childhood room complete with Holly Hobbie lampshade and sweet floral wallpaper. 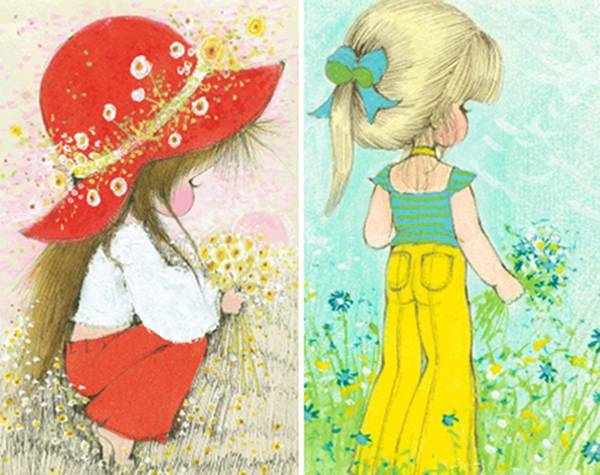 Here’s a Babyology exclusive to tug the heartstrings of many grown up little girls everywhere, with the nostalgic art of the 60s and 70s. This week at the Kids Instyle trade show in Melbourne, Lark will launch its sidekick brand Daisy Lane! The collection has swap cards ($6.95 for a pack of five) and albums ($19.95), posters (50 x 70 cm $29.95), keyrings, badges, mirrors ($4.95 each), letter-writing sets (two designs $14.95 each), and the most gorgeous retro-packaged sweets (twelve varieties, $5.95 a bag) for a stylish treat. Equally heartwarming as the range, is the story behind it. We owe the revival of this art style to Lark creator Allison Jones, who on a visit to her local vintage shop, fell in love with a Sue Adams creation. 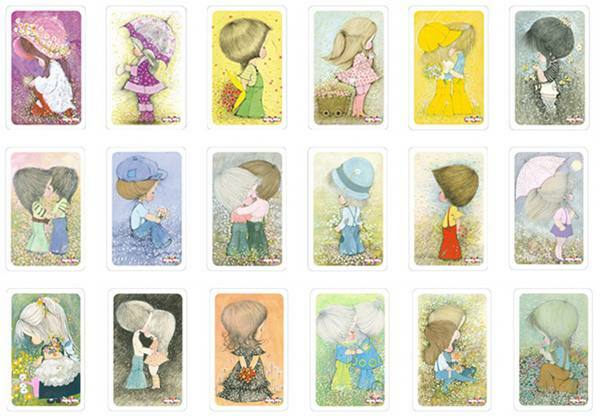 Sue illustrated greeting cards for Phil Taylor (our oldest family-owned card company) during the 60s and 70s and the images became iconic. Allison then discovered that a massive archive of Adams’ work existed and collaborated with the Taylor family to reproduce the images for this stunning range of homewares and stationery. The range will be launched in several stages in the latter half of 2010 and in 2011. The first batch is stationery-focused but soon there will be bubble bath and bed linen! In true retro little girl style, there is a club to join. There will be competitions to enter, special offers and a place to swap those pretty cards. If you thought all this was exciting enough, Phil Taylor will be releasing a range of cards in 2011 to celebrate its 50th anniversary! We can hardly wait to catch up with Allison this week at Kids Instyle and see the Daisy Lane products for ourselves.